Chicken and asparagus with cauli-rice | Healthy and easy dinner recipe! All of our dinner recipes need to have the extreme easy factor. And this delish grain free and gluten free chicken and asparagus with cauli-rice falls perfectly into this category. It’s part of our 3-week Starter Kit (the perfect place to, well… start… or re-start!). 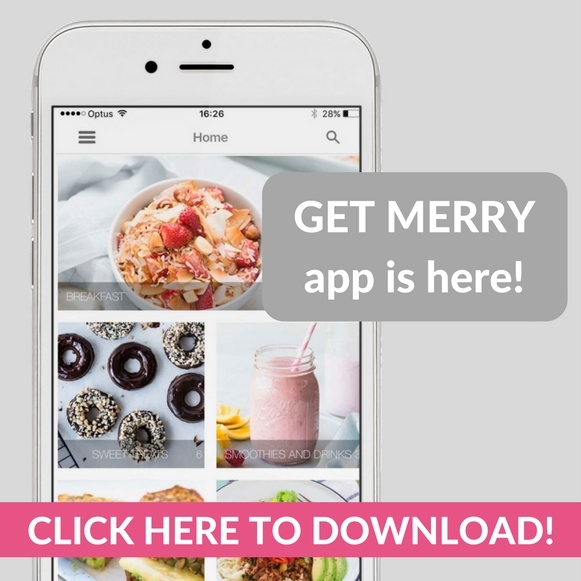 The Get Merry Starter Kit has everything you need to kick off your healthy (Merry) lifestyle right… now! You will feel organised in seconds with recipes, meal plans and shopping lists. You will be ready to take on the world with inspiration and knowledge from epic health and happiness leaders. Here’s what you get (for $29 AUD… bar—-GAIN!). With weekly shopping lists and prep tips to get you super organised and on track. Thank YOU! 3 recipe rules we follow: quick, easy and delish. Brekkies, dinnies and Sunday sweet treats. 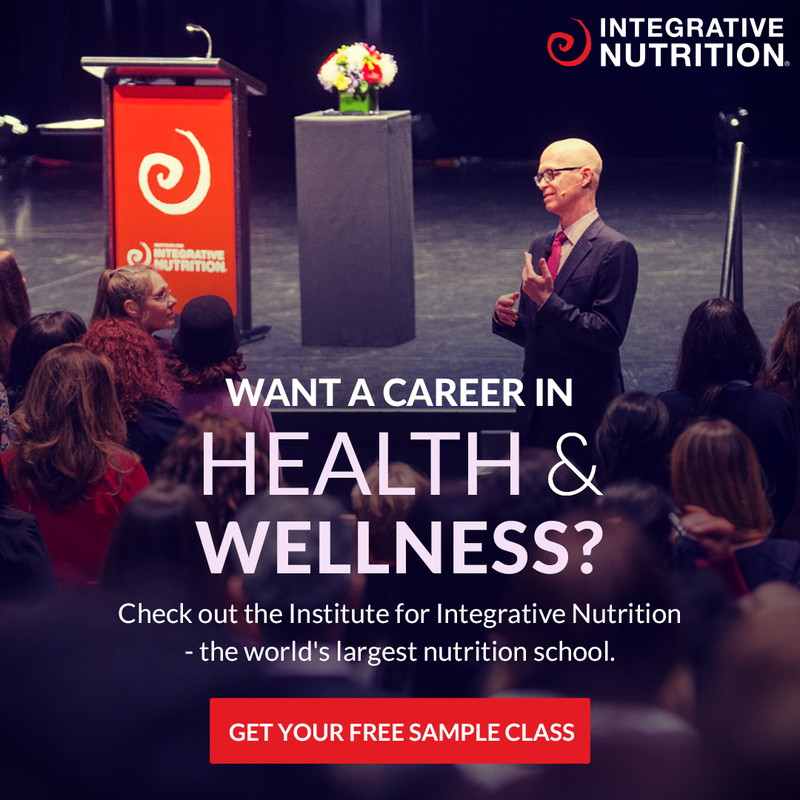 Fast track your knowledge and get inspired with access to over 10 hours of recordings from health and happiness leaders. Seriously, you will have AHA! Moments left, right and centre! You’ll get our fill-a-ble meal plan, pantry/fridge staple list and more. You can grab all the Starter Kit info right HERE! Ok… back to this epic chicken and asparagus recipe! This recipe is based on Mum’s old recipe. We loved it as kids! The best thing is that it’s just as easy as the original not-so-healthy version. We’ve added a Merrymaker tip to add cheese. If you do eat cheese we think you should 100% definitely add it. It makes it even more delish! 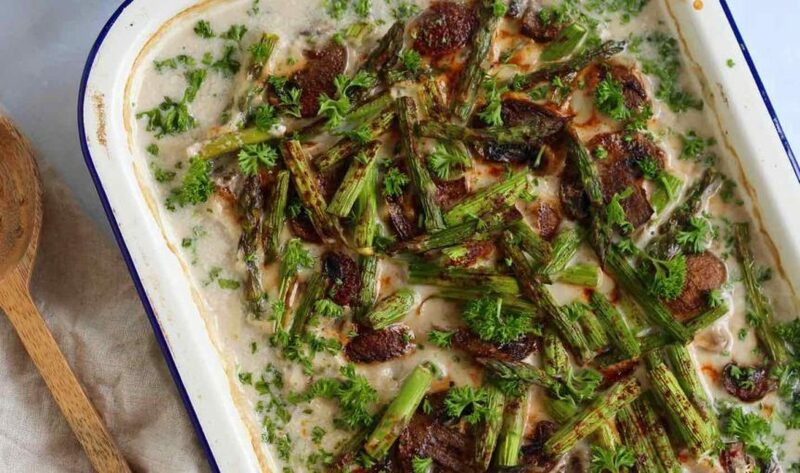 Place chicken, mushrooms and asparagus in a shallow baking dish and season with a little salt and pepper. In a small bowl or jug mix the coconut milk and stock and pour over the chicken and veggies stir a little to coat everything. Sprinkle with paprika, place into the oven and cook for 30 minutes or until cooked. Meanwhile you can get onto the cauli-rice! In another fry pan heat a little coconut oil, saute the onion until just soft, add the grated cauliflower and saute for a couple minutes. Once the chicken is cooked, sprinkle with fresh parsley. Serve and enjoy the delishness! Want extra delish factor and eat cheese? Add grated cheese just before you sprinkle the chicken dish with paprika. Ahhhh-mazing!